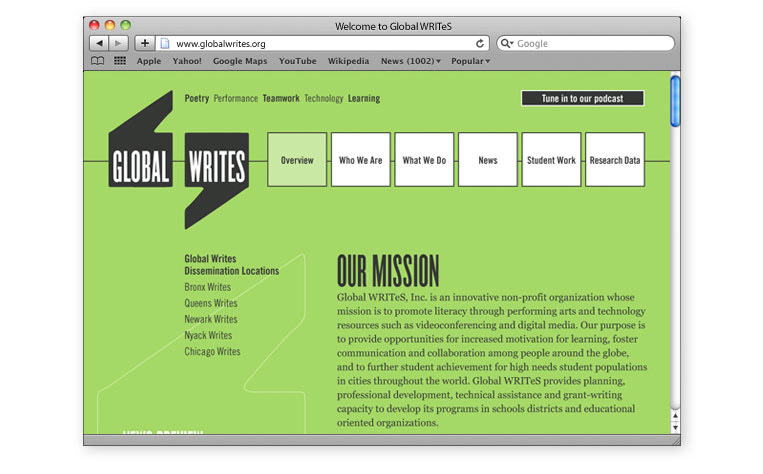 Global Writes is a non-profit organization whose mission is to enrich learning through poetry and performance, using video technology to connect artists to K-12 classrooms throughout the United States and the world. 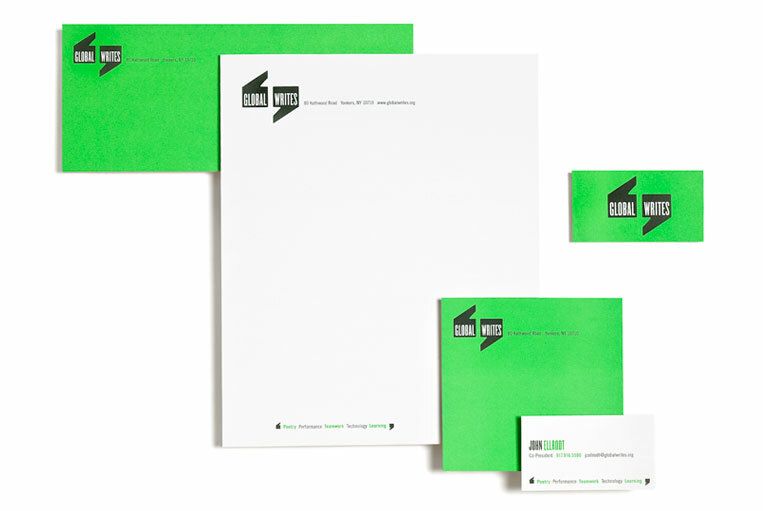 We developed an identity for the organization that played off the idea of communication and verbal expression. The bold, graphic quotation marks and color palette reflect this core idea. The quotation marks added an element of graphic flexibility that could be used to enclose the organization’s name, as well as images of the students, call-outs for body copy and quotes by students and members of the Global Writes community. The identity gave the organization a strong platform for establishing their credibility among teachers, student participants and partner communities in culture and learning. In addition to the mark, we delivered a complete stationery system and web design to signify the organization’s presence in the global community. For more information about Global Writes, visit www.globalwrites.org.